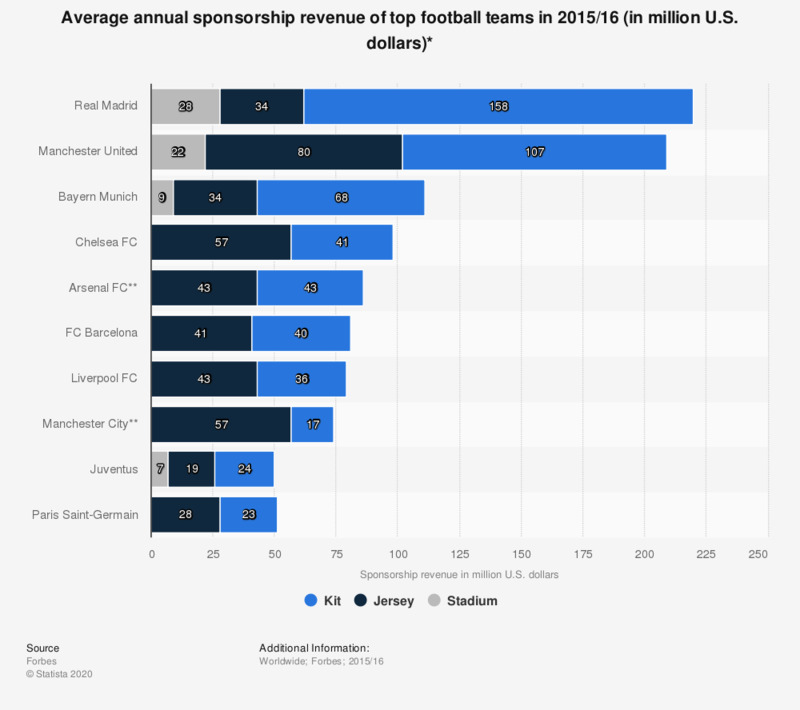 This statistic shows the annual revenue from sponsorships of the top soccer teams in 2015/16. In the 2015/16 season, Real Madrid had the most valuable sponsorship deals of the top football teams worldwide, generating a total of 220 million U.S. dollars in sponsorship revenue. * Listed here are the ten soccer teams that generate the most annual income from kit, shirt and stadium sponsorship areas based on current contracts. All deal values are calculated with exchange rates current as of late April 2016. ** Jersey and stadium revenue combined.